Electrical power distribution systems are found supplying power in all sorts of factories, data centers, hospitals, and large commercial complexes. The reliability of these systems is critical to keeping businesses and services running smoothly. So, when a failure occurs, the first inclination of the facility team might be to blame some aspect of the system, including the manufacturer. 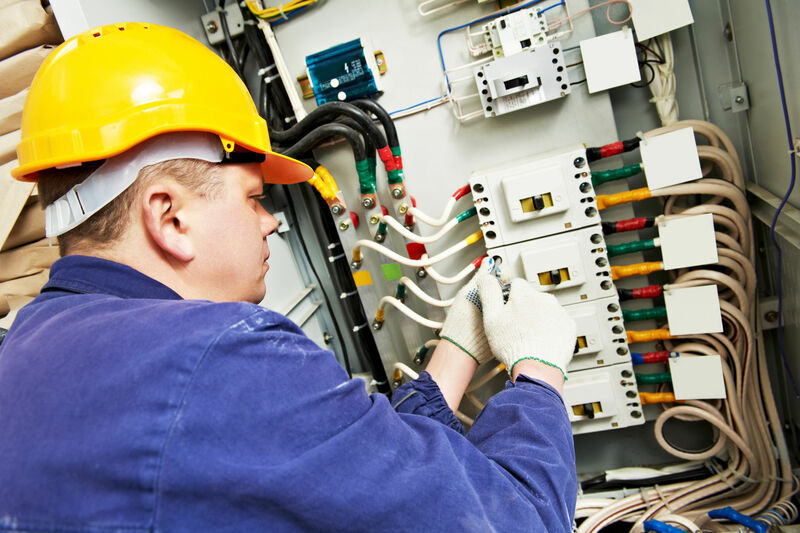 However, though the electrical switchgear may be the point at which a problem is most visible, the source of the problem may be elsewhere or, in fact, much earlier. This is because the reliable performance of an electrical distribution system goes beyond the equipment itself. It is also greatly dependent on safety-related considerations during the design and installation phase, as well as during operation and maintenance. For specifying engineers, delivering system designs with the highest possible power availability and safety requires identifying and mitigating every risk. For facility teams, operational and maintenance practices that address all risk factors are key to enhancing reliability and safety while minimizing costs over the entire life cycle of the system. Standards – like IEC 61936-1 for medium voltage (MV) systems and IEC 60364 series for low voltage (LV) systems – as well as local regulations provide a sound basis for installation design. But they don’t address every unique aspect of every location. There could be remaining risks that need to identified and mitigated. So let’s have a look at some of these potential risks, specifically for MV systems, and some best practices that can help avoid them. Please note this is a brief overview. More detail and tips can be found in the resources at the end of this post. An arc fault can be caused by a few different factors, including aging insulation, a foreign object, or an overvoltage. If large enough, it can damage the installation and harm people. The IEC 62271-200 standard specifies possible arc fault locations, causes, and preventative measures. Specifying ‘arc-classified’ switchgear will help limit exposure to arc effects on nearby personnel; however, it not enough to address all possible situations. To ensure performance isn’t compromised, the installation conditions defined by the manufacturer need to be respected. Standards and regulations that address installation procedures define minimum clearances to avoid accidental contact with bare, live conductors. But some situations may pose risks not addressed by the regulations. Procedures for ‘live work’ make personnel more aware of the dangers, and thus accidents rarely occur. However, the possibility of indirect contact with an accidentally energized part is also a serious threat. These ‘step’ or ‘touch’ voltages are due to lack of effective grounding. Designs rules for grounding systems provide good protection, but only if connections remain effective and the values used for calculation are not exceeded. Beyond electrical accidents, mishaps can include falling from ladders or other high places, collision with equipment due to lack of working space, and injuries due to moving heavy loads without proper lifting tools. That’s why it’s a best practice to review all tasks, ensure enough free space is available for each, and document all recommended tools and procedures. The environmental conditions electrical equipment operates in can greatly affect its performance and reliability. Uncontrolled humidity can be the most detrimental factor, along with temperature, dust, and corrosive gases. Therefore the design of the electrical room should take these factors into consideration, as well as the need for monitoring and control of temperature and humidity. Any plan for ventilation should avoid the possible negative effects of cold, damp, and dust on MV switchgear. The rated characteristics of an electrical installation are set at the design stage based on the forecasted service. However, changes can occur over the service life, such as the addition of loads, cables, or capacitors. Or maybe there’s been a higher than expected level of lightning strikes. This could push the system beyond its ratings, increasing risk of failure. So it’s important to periodically review and document electrical conditions and any evolutions that have occurred in the system. In my next post, we’ll look at additional important safety criteria, specifically regarding installation, location, and operation. To learn more about this subject, refer to the white paper ‘How Medium Voltage Equipment Performance and Reliability Depend on Early Safety Considerations’. To discover how an advanced power management solution from Schneider Electric supports MV system reliability, visit the EcoStruxure™ Power web page.